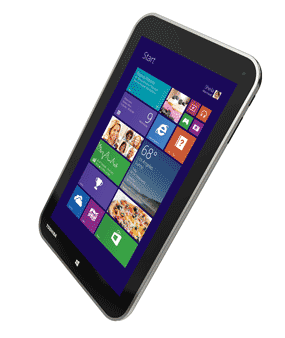 Toshiba Encore WT8-A-102 8" Windows 8.1 Tablet Intel Atom Z3740 2GB RAM 32GB SSD. Toshiba's Encore tablet is everything you need for work and play, whether it's browsing the web, enjoying the best of Xbox entertainment with music, games and video or staying productive with Office Home & Student 2013. It's packed with power and performance with a full Windows 8.1 experience, Intel Atom Quad Core processor and a range of connectivity options including expandable storage. 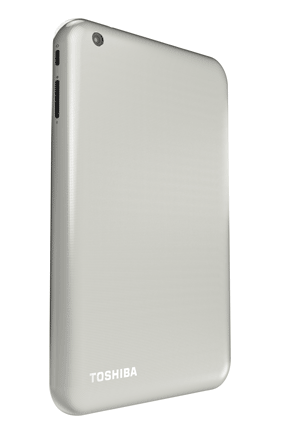 InstantGo technology means that Encore goes from standby mode to on in less than 300 milliseconds and stays connected to your network to sync your tiles, apps, mails and data even when the tablet is on standby. Encore is also truly optimised for Skype with dual microphones for greater clarity and noise reduction, and built in front and rear HD cameras. 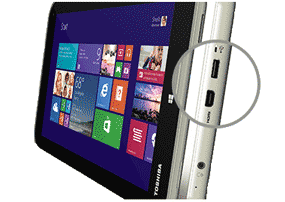 Toshiba's Encore Windows 8.1 tablet has a bright, clear 20.32cm (8-inch) AutoBrite HFFS display with a wide viewing angle, which makes it ideal for watching films on the go. With multi-touch support you can enjoy a fully immersive, interactive entertainment experience anywhere. Encore is optimised for portrait and landscape views too, so you can see content how it was meant to be seen. Enjoy Xbox gaming on Encore, or use Xbox SmartGlass to transform the tablet screen into a second screen for the Xbox 360 or Xbox One -- so you can optimise your Xbox console gaming experience, and make the most of Encore's screen and processor. You can even use it as a remote control for your Xbox console to enhance your gaming experience, or for convenient web browsing and page navigation. The Intel Atom Quad Core processor offers powerful and fast performance so you have all the speed you need for more responsive applications, and graphics that really come to life. 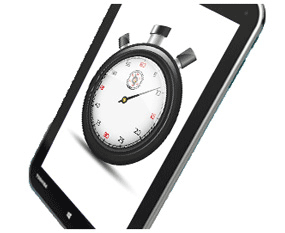 Internet Explorer 11 provides super-fast, touch-optimised web browsing with much quicker page refreshes. You also get expandable storage of up to 96GB* via microSD card, and if you need more, SkyDrive means files can be stored in the cloud for free, fast access and easy synchronisation with other Windows devices. Encore comes with a 2MP font camera and 8MP rear camera making it ideal for clear video chats or capturing photo and video. It also features Skype-optimised dual microphones with noise reduction for greater sound clarity. The ergonomic design and positioning of the speakers, microphones and cameras enable you to enjoy comfortable one-handed use while you talk, without affecting the performance or Skype experience. Encore offers comprehensive connectivity option, including a micro-USB for sharing content, a micro-HDMI for displaying your media in lifelike detail on a TV screen, and a micro-SD slot to increase storage capacity or swap and transfer files. 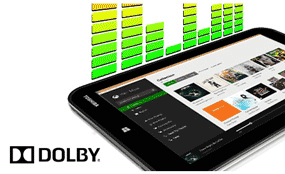 With powerful Dolby Digital Plus sound through high-quality stereo speakers, you'll never miss a detail of your movies or music on the Encore tablet. Windows 8.1 gives you the power to quickly browse, watch movies, play games, polish your resume and pull together a killer presentation -- all on a single PC. You can organise up to 3 apps on your screen at once with a single view. Quickly act on results from across your apps, files and the web with Bing Smart Search. Personalise your Start screen with your favourite news, friends, social networks, and apps. Customisable colours and backgrounds and 4 different sizes of tiles make your device as unique as you. In addition to great built-in apps for email, people, photos and video editing -- you can also download thousands of popular apps from the Windows Store. From the Start screen, you are just a click away from the familiar Windows desktop you know so you can do the stuff youve always done.